Silicosis: an epidemic of racism? The judges of the South Gauteng High Court reserved judgment in the silicosis hearing, which pits lawyers for miners suffering from silicosis and TB against lawyers for South Africa’s top gold mining companies. It is worth reflecting upon the enormity of the matter before the court. Why is it so ‘historic’? In the first decade of the twentieth century, white mineworkers’ death rates from silicosis and associated TB reached catastrophic proportions – a virtual wipe-out of the entire cadre of workers in ten years or less. This was the result of the ‘speed up’ in production after companies such as Anglo American bundled small gold mine claims into massive oligopolies for foreign (mostly British) investors to feast upon. White miners, many from the tin mines in Cornwall which had been closed, marched and protested. Since they now had the vote after the British victory over the Boer republic at the turn of the century, the colonial state responded, with the Mines and Works Act of 1911. In the following 30 years, a system was designed which Professor Jonathan Myers, renowned epidemiologist and expert witness for the mineworkers in the silicosis case, has described as a ‘benchmark’ occupational health system (diagnosis, treatment, and compensation, all courtesy of the state) – all, of course, exclusively for white miners. The Mines and Works Act ensured that white mineworkers were given more and more of an overseer role over black mineworkers (a situation the miners describe clearly in their affidavits to the court). This supervisory role was limited to white mineworkers and enforced through the restriction of blasting certificates to whites only. As a result, white mineworkers’ exposure to silica dust was progressively reduced over time, as they became supervisors and spent less and less time in the really dusty jobs. Although silicosis among white mineworkers was never eliminated, the system ensured that they would be diagnosed early, and retired comfortably on good pensions supplemented by good compensation payments for their disease. Their underground working conditions, and their living conditions ensured that their silicosis only rarely progressed to TB. The occupational health system for black mineworkers, on the other hand, was effectively under the control of the mining companies and rare attempts to interfere with it, however muted, from the state compensation authorities were swiftly brushed aside. Right from the beginning of the ‘speed up’, the few reports from an even fewer number of concerned medical experts were ignored by the new colonial state and the mining companies. The political power of the gold mining industry in the colonial state ensured that the mines’ argument that black mineworkers were migrants on short intermittent contracts and therefore less exposed to silica dust and the risk of silicosis and TB than white miners, held sway in the corridors of colonial and apartheid power. There was never any scientific evidence for this argument because the mines did not conduct the necessary research, the colonial and then apartheid state would not fund it, the racist white mineworkers’ union only took collective action to defend its own narrow race interests, and those scientists who saw the need for such research were employed either within the hostile state, or by the mining houses themselves.The gold companies did not have sufficient confidence in their hypothesis to attempt to prove it, and since no-one was forcing them to do so, they let sleeping dogs lie. In the current class action certification silicosis case, one advocate for Anglo American suggested that the Ernest Oppenheimer Hospital is, and has been since its inception, internationally recognised as a leader in its field. But where is the evidence for this? The only evidence we have of the results of the gold mines’ health and safety management system is the hundreds of thousands of former mineworkers sick with lung disease all over southern Africa. Indeed, the gold mines themselves were unable in court to gainsay the evidence from disease prevalence studies conducted after the advent of democracy in 1994 cited by the mineworkers’ lawyers, including one (finally) financed by Anglo American. These studies found disease prevalences of around 20 to 30 percent among living former gold miners. The mining companies’ response has been that this disaster is not of their making, that it has always been the state’s responsibility to look after black mineworkers after they leave the mine, and that the state has failed to do so. This has also been the mines’ argument when faced with the fact that huge numbers of mineworkers now live in shacks. In the case of Lonmin, this argument was sent packing in the judicial commission of inquiry into the Marikana massacre, which, among other things, recommended that the Department of Minerals and Energy investigate the extent to which Lonmin had reneged on its mining licence obligations to provide decent housing for its workers. Unfortunately, the terms of licences to gold mining companies do not include an obligation to provide a modern, comprehensive occupational health service to all workers at risk of silicosis and TB, using the benchmark of the white miners’ historical privilege in that regard. Assuming competent enforcement, that may be the only way to ensure that the gold mining companies will put their money where their mouths are in the 21st century. In the Truth and Reconciliation Commission’s final report on business and apartheid, Anglo American made a valiant attempt to distance itself from the apartheid state, insisting that it had fought apartheid measures such as job reservation, and refused to apologise for its exploitation of black mineworkers under the cover of apartheid rules. It issued only one apology at the TRC relevant to this case: when the apartheid government eased the Group Areas Act slightly, allowing the mines to house up to 3 percent of black mineworkers in family housing, Anglo American only managed to get 1 percent into family housing. By the time of the TRC report, the devastating epidemic of silicosis and TB among former mineworkers was already known, and the very revealing findings of the 1995 Leon Commission of Inquiry into Safety and Health in Mines (the precursor to the new regulatory regime under the Mines Safety and Health Act 1996) were in the public domain. Anglo American did not apologise for that. At any rate, the argument of colonial and apartheid state failure no longer holds to the same extent in the light of the Department of Health’s recent initiatives to extend better occupational health services to former mineworkers using the very large quantum of largely unspent funds from the compensation fund set up in terms of the Occupational Diseases in Mines and Works Act. Yet still the contribution of the mining industry to this initiative is paltry in monetary terms. There is one puzzle that persists in the debate. drawn on by the mineworkers’ attorneys, reveal. The argument that this is because black mineworkers’ contracts – and therefore their exposure to silica dust – were lengthened in the 1980s, is being investigated currently by epidemiologists such as Professor Rodney Ehrlich of UCT, not without staggering difficulties. The historian Jock McCulloch, drawing on extensive documentary research in state archives, contends that black mineworkers have always had a much higher silicosis and TB incidence rates than white mineworkers, and that the mine occupational health ‘services’ and research, and the apartheid state’s capture or collusion machinations, were effectively a giant conspiracy to obscure this fact. He suggests that the difference was due to the much more dangerous levels of exposure to silica dust that black mineworkers had to endure because of the difference between their role in production, at the sharp end, compared to that of their white ‘baas’, whose supervisory role meant that he was removed from it. In her ground-breaking book, published in 1983 – after her assassination by apartheid security forces – entitled Black Gold: the Mozambican miner, proletarian and peasant, Ruth First constructed comprehensive work histories of Mozambican gold miners who had returned to their land in 1975 on the victory of Frelimo against the colonial regime. The Frelimo government commissioned First to investigate what it should do to accommodate the returning mineworkers productively on their land. First’s research showed that from at least the 1940s, the frequency of contracts of these workers had markedly increased, until by the early 1960s, most of them were effectively full-time permanent workers on the mines, with only short visits to their families at Christmas. If her findings are generally true across the whole Southern African region, the historic argument put forward by the mining companies of ‘porous service’ by their black workers falls away. And if that is true, then the increasing incidence in silicosis observed by autopsy since the 1980s should be interpreted as showing a temporary fall in incidence around the late 1970s and 1980s from a historical high, rather than a rise from a historically low incidence until a trend towards a historically high incidence began in the 1980s. his substitution of South African workers for more experienced, and therefore more dust-exposed foreign workers, which reached its peak and zenith in the 1990s, perhaps could have a bearing on the significant increase in silicosis incidence revealed over the past 30 years in autopsy records. One other reference, purely anecdotal, has a bearing on this puzzle. In a tiny footnote in his book Labour in the South African Gold Mines 1911-69, Francis Wilson quotes a personal communication by a social researcher doing field work in one of the areas from which men went to the gold mines. ‘All the men in the village had died of silicosis,’ he writes. If that is true, and even partially generalisable, then once again the mines’ argument about reduced exposure of black mineworkers to silica dust falls away. The compensation system for mineworkers was set up early in the 20th century precisely because it was understood that white mineworkers would not have access to expensive common law remedies for the massive burden of disease. State compensation was built on two principles; no fault needed to be established, and no causal relationship between silica dust exposure with or without TB needed to be proved for compensation – it was deemed automatically compensable occupational disease. Now the wheel has come full circle. Because of the failure of the mining companies to build a comprehensive occupational health system for black mineworkers, we are back to a class action under common law as the only means of redress. 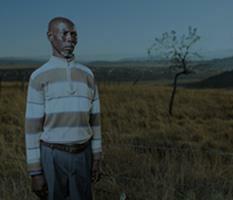 Silicosis: will there be justice? 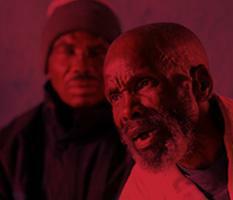 It is estimated that over 20 percent of former workers in South Africa’s gold mines who are still alive have silicosis. Now, mineworkers are seeking justice. In 2011, the Constitutional Court ruled that former mineworkers can bring civil claims against mining companies in addition to the paltry compensation available through an existing statutory mechanism. If the former mineworkers have their way, those civil claims will now proceed in the form of a class action lawsuit – a case likely to cost the 32 gold mining companies involved billions of rands. For two weeks this October, the South Gauteng High Court heard arguments from an extraordinary assembly of South Africa’s top legal counsel for and against allowing the case to proceed as a class action. The counsel for the workers argued that a class action is the only realistic way in which workers could access justice – since it is not feasible that over a hundred thousand mineworkers, most of whom are poor, sick and live in rural areas, will bring separate cases. In addition, counsel argued that proceeding as a class action makes sense because there are many common issues to be dealt with – such as what legal obligations mining companies had and have for the safety of their workers. In response, counsel for the mining companies argued that a class action would be unmanageable due to the long time period (1965 to the present) and the wide variety of mines and mining companies involved. They however did not put forward any alternative proposals as to how over a hundred thousand mineworkers might access justice. The court has reserved judgment. If the court rules that the matter can go ahead as a class action it would either proceed to trial or be settled out of court. What are the mining companies alleged to have done wrong? Counsel for the applicants presented evidence showing that gold mining companies in South Africa systematically and over decades failed to protect their workers from exposure to dangerously high levels of silica dust. It should be noted, though, that since these hearings were only concerned with establishing whether or not the case could proceed as a class action, this evidence wasn’t dissected as would be done in a trial. Instead, counsel for the mineworkers merely had to convince the three judges that on the face of it there was a case to be answered. They referred to four sources of evidence to make their case. Most compellingly, they referenced the extremely high prevalence of silicosis among former workers in the gold mines. Clearly, if the mining companies had sufficiently protected their workers there simply wouldn’t be so many people with silicosis around. Secondly they cited a number of independent reports into the mining industry and safety in mines that were published through the decades. Thirdly they cited reports from the industry itself. And finally, they cited some of the personal accounts of the miners who are applicants in the case. The core counter argument from the mining companies was that it does not make sense to treat the industry, or former miners, as homogenous. They argued that different mines did things differently, that underground conditions at mines differed substantially, and that given all this variation, there is a risk of punishing some mines for the transgressions of others. Are the mining companies legally liable? One of the remarkable things about the hearings was that the mining companies did not attempt to deny the fact that large numbers of their workers contracted silicosis. Instead, they provided a number of arguments as to why some or specific mining companies could not be held accountable. One of these arguments related to the difficulty of proving causality. In this regard, the so-called ‘but for’ test was at issue. To pass the ‘but for’ test, it would need to be shown that ‘but for’ the wrongful conduct of the mining companies, the miners would not have contracted lung diseases. If this could not be proved, the company could not be held liable. Put another way, it is possible that some miners would still have developed lung disease even if the companies did everything they were supposed to. This makes proving causation potentially tricky. In response, counsel for the miners cited the 2012 Constitutional Court judgment in the case of Dudley Lee. 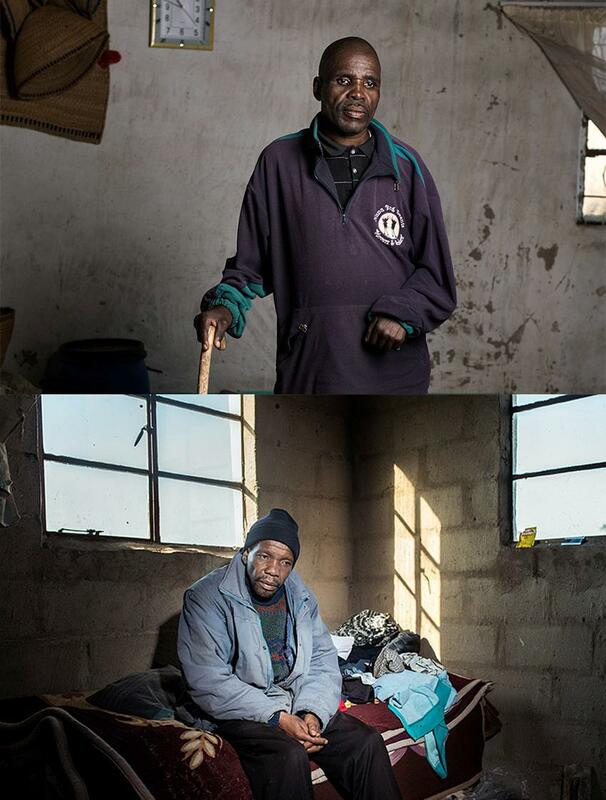 Mr Lee contracted TB while incarcerated at Pollsmoor Prison in Cape Town. In Mr Lee’s case, the court ruled that a strict application of the ‘but for’ principle would not serve the interests of justice. Instead, the court followed a flexible approach to the ‘but for’ test, an approach informed by the interests of justice in the context of vulnerable people and the difficulty in proving causation when it comes to lung disease. It went so far as to indicate that acts or ommissions that increase the risk of contracting lung disease may on their own be sufficient to prove causation. The same, the lawyers argued, would apply in regards to mining companies and silicosis and/or TB. Will the families of deceased mineworkers have access to compensation? Another hotly debated issue was the transmissibility of damages (whether or not the families of deceased mineworkers would also have a right to compensation). Certain types of damages, such as loss of wages, are automatically ‘transmissible’ to surviving dependants. However, other types, such as damages for ‘pain and suffering’ have not in the past been ‘transmissible’. In this regard, the court heard evidence about the wider impact of a miner becoming sick with silicosis and/or TB. In many cases, this meant that families lost bread-winners and that wives or daughters had to give up employment or educational opportunities to look after these sick men. Lawyers for the miners argued that the distinction between the types of damages is not rational. They urged the court to develop the common law to allow for the transmissibility of damages such as those for pain and suffering. The mineworkers asked the court to ‘certify’ two classes. The first class would include everyone who had worked on a gold mine in South Africa for at least two years since 1965 and developed silicosis. This class includes workers who have both silicosis and TB. It is also not limited to just South African citizens. If certified, former mineworkers who live in neighbouring countries will also be able to access compensation as members of the class. The second class is the TB-only class. It is the same as the first class except that it excludes all people with silicosis (whether or not they have TB as well). 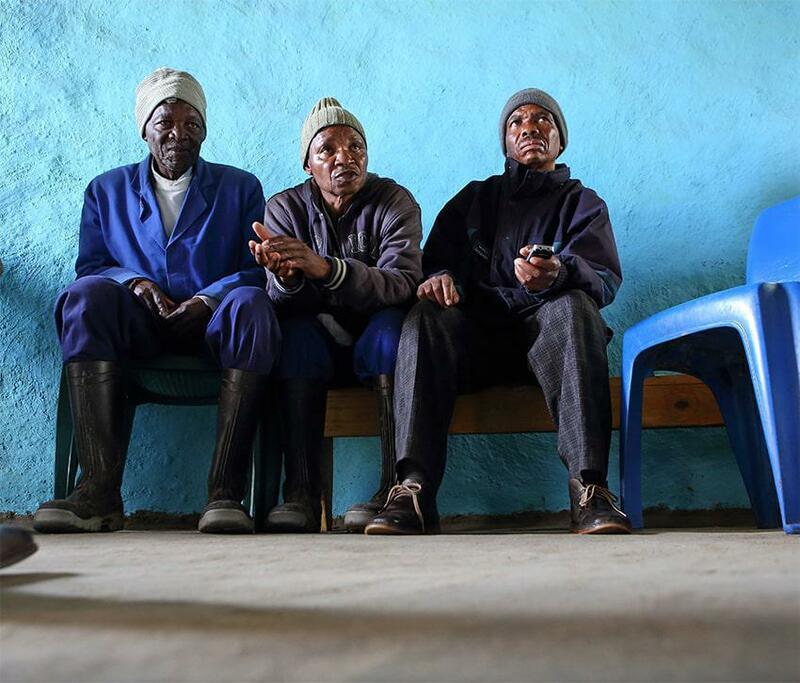 The TB-only class was much more hotly debated in court than the silicosis class. Counsel for the applicants presented evidence that excessive exposure to silica dust significantly increases the risk of developing TB – even if the silica dust exposure is not sufficient to cause actual silicosis. Counsel for the mining companies responded by arguing that TB has many potential causes and that exposure to silica dust would in most cases have been only one risk factor among many. Here too, though, the Lee judgment appears to have set a precedent that will favour the mineworkers: the causation questions that made the Lee case difficult are precisely the same as those that the mining companies say render the TB class impossible. The court in Lee’s case, however, cut through the problems to reach a just outcome. Their lawyers are preparing to fight in court, but for many of the miners who contracted lung disease from the silica dust on South Africa’s gold mines, it’s too late..
Miners with silicosis and tuberculosis are dying at an “alarming” rate, warn their lawyers in a 181- page document asking the Gauteng High Court for permission to proceed with a class action to sue 32 gold mining companies. 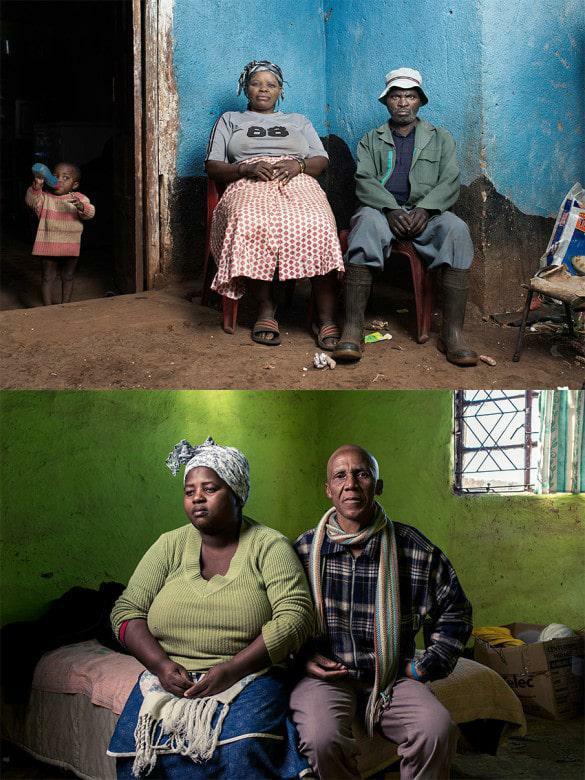 Last week, in spite of opposition by the companies, the Treatment Action Campaign (TAC) and Sonke Gender Justice were granted leave by the court to join the litigation, which affects tens of thousands of miners and their families. Three legal teams in South Africa and two in the United States are working together to represent 69 miners, and seven legal teams are representing the mining companies in a case which has already generated nearly 5 000 pages of documents. 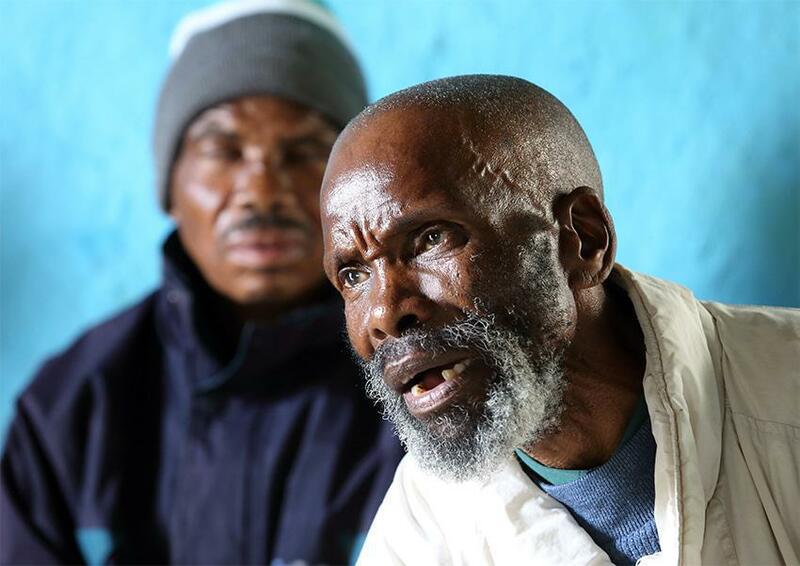 The mineworkers are applying to be allowed to bring a class action on behalf of all miners who have silicosis and tuberculosis as a result of their exposure to silica dust since 1965, and of the families of all miners who have died of silicosis and tuberculosis. Anglo American, one of the companies involved, has described the case as “without precedent in South African law and indeed in any other jurisdiction in the world”. The matter, which will be heard in October, could affect some 196 000 gold miners in South Africa and 84 000 from neighbouring countries who are thought to have silicosis, an irreversible, incurable and painful disease in which scar tissue gradually replaces healthy tissue in the lungs. The disease is often associated with TB. It is disabling and can be fatal. 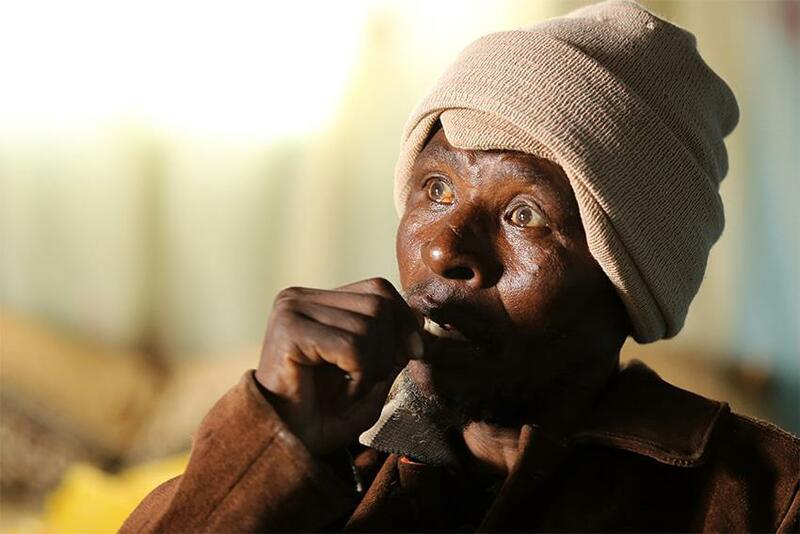 The mineworkers say the mines are to blame because they failed over the years to take steps to protect mineworkers against excessive levels of dust and the risks of silicosis and tuberculosis. In 1912, South Africa became the first state to introduce compensation for silicosis as an occupational disease. The mines have been almost immune not only from civil claims but also from paying statutory compensation. Because of the nature of the disease, many mineworkers returned home to South Africa’s rural areas and to neighbouring countries without knowing they were ill. When the symptoms of illness appeared, the former miners were unable to get screening or treatment, and could not claim compensation. In this way, say the mineworkers’ lawyers, the costs of silicosis and tuberculosis have been transferred from the mines to the miners’ communities in rural South Africa and neighbouring countries.But a 2011 Constitutional Court judgment opened the door to mineworkers and their families to claim damages for the wrongs done to them by the mines in which they were employed. “The question is not whether they should be allowed to sue. The only question is how they should be allowed to do so,” write the lawyers.They argue that a class action is the only solution open to the miners and their families. Many of them do not have the benefit of education; as individuals they are too poor to afford lawyers; they suffer from chest pains and coughs and are too weak and too sick to travel to see lawyers or attend court. Widows and other dependents battle to follow up their claims when the miners die. During my time working for Harmony, I was frequently and regularly exposed to silica dust released during day-to-day mining activities. This exposure occurred from working with and near activities such as drilling, blasting, and crushing of ore and rock. The dust levels underground were generally controlled by spraying the walls with water. This was done once in the morning, and after each blast that occurred during a shift. Blasting underground created a lot of dust and much of it remained in the workspace, even after the walls were sprayed with water, as we could still see it, as well as taste and smell it. There was no ventilation to control the dust levels in my workspace underground and, as a result, the watering process was the only means of dust control. The dust would remain in the air until the walls were watered, and soon thereafter, when walls dried, the dust levels would increase again. The watering process was an ineffective means of controlling the dust levels underground. in the travelling tunnels and in the worksite. I was never provided with any respiratory equipment. I inhaled all dust that I was exposed to. The dust levels were especially high when I would enter the mine at the beginning of my shift. I had to walk 8 km through the tunnels underground to get to my workspace. Lots of dust would settle on the equipment that we used and the equipment was not cleaned during or between shifts. The dust would also settle on our hair, face, and clothes while we worked. “The interests of justice thus require that the mineworkers and their families be allowed to proceed by class action. It is their only hope. If the facility of a class action is denied to them, most of them will not be able to sue at all.” “They will be denied any remedy for the violation of their constitutional, statutory and common law rights. The guilty mines will get off scot-free.” The mines are aware of this, the lawyers say, which is why they are opposing the application. “They do not seek justice. They seek to escape liability for their history of neglect of mineworkers.” The mining companies argue that there is no common ground for a class action. In their own court papers their lawyers argue that conditions on each mine were different and that there is no “class” of affected workers or of negligent mining companies. Some also argue that they did not themselves operate the mines. In its court papers, for instance, Anglo American says it is not “and has never been” a mine owner and so is different from the other mining companies, though it “held different interests in many mining companies at different times.” Anglo American also argues that there were important differences between the mines with respect, for example, to silica content of the rock, dust control and ventilation standards, knowledge of risk, and between mineworkers, such as how long each worked on a particular mine, whether or not a miner was involved in other activities which exposed him to silica dust, and whether he was more or less “susceptible to contract silicosis as a result of being HIV-positive or whether he smoked”. But the lawyers for the mineworkers argue that as a group the mines knew very well what had to be done to protect workers and failed to do it. They quote UCT professor Jonny Myers to show that the mining companies offered protection, screening and treatment to white, but not to black, mineworkers. “The respondents and indeed the entire gold mining industry consistently and systemically failed for decades to take the required reasonable and practicable measures to protect mineworkers against excessive levels of silica dust and the concomitant risks of silicosis and tuberculosis. Workers themselves had no control over their working conditions”, the lawyers say. Statements by the 69 applicants about their own experiences on different mines, which attest to the widespread, generalised and systemic failure of the gold mines to provide mineworkers with adequate and effective protection from silica dust. A small community of mineworkers in Zithulele in the Eastern Cape is slowly dying from lung related diseases. 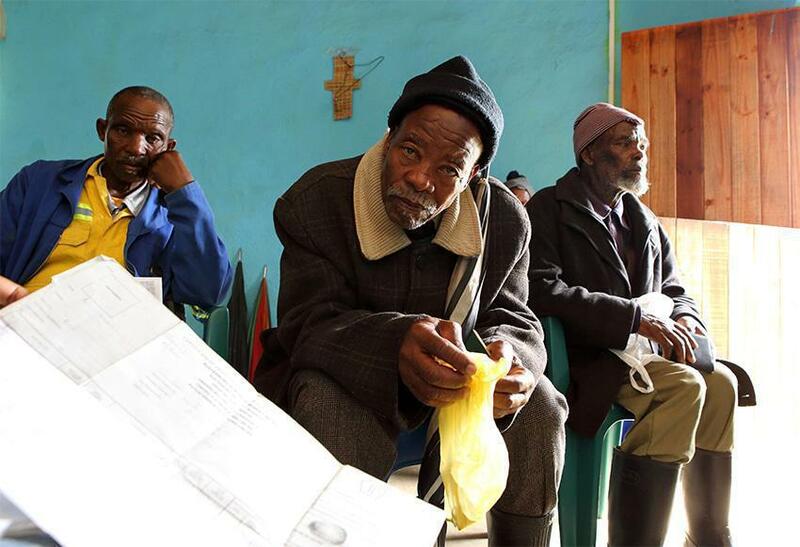 Turberculosis and Silicosis are synonymous to these former mineworkers. They struggle to breathe, to work, to live. 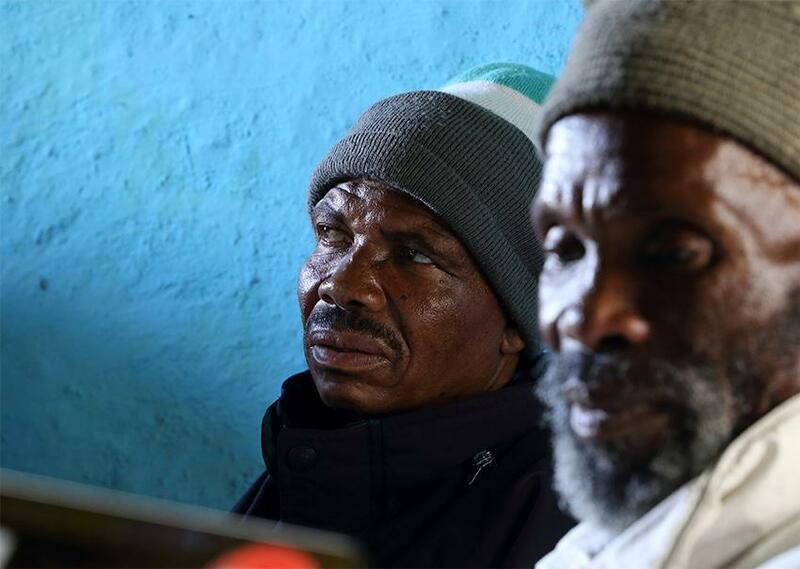 Their only hope for compensation for the years of suffering they have already endured and that lies ahead is the class action brought by Bongani Nkala and other miners against the mining industry. 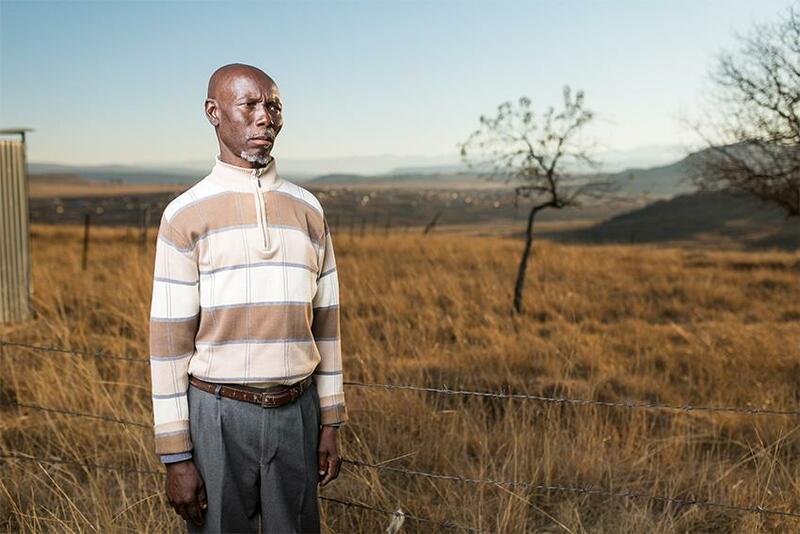 This landmark case, Nkala and others v Harmony Gold and others, will see hundreds of thousands of mineworkers who contracted silicosis and/or tuberculosis in South Africa’s gold mines given a voice and access to justice. The stories told here are haunting echoes of those of the miners who are participating in the class action.. I started working in the mines in 1958. I ended my last mining job in 2006. I went to the doctor in Nqanduli and he said I had worked too long in the mines. He said that my lungs have holes that will never heal. Doctors say I shouldn’t work. I need to hire people to help me around the home. I feel weak and I cannot breathe. The only way I can walk any distance is when I use my asthma pumps. If I don’t have them, I won’t come back from where I’ve been. I tried to get compensation but they said the little I got was enough and they won’t give me anything more. The only money I receive is my pension. I get no disability and no other money. I worked on the mines from 1972 to 2014 as a labourer and then blasting. In 1990, I spent three months in the hospital because my hearing had gotten bad from the blasting. Then, in 2013, I was treated for TB, but I am still suffering. My chest is closed. I was let go from work in 2014 with no compensation. They took money from our salaries but now they do want to pay. I want to know where that money is. I survive on the pension from government alone. It is not enough to provide for my three children. I started in the mines when I was 21-years-old in 1987. I was pipe fitter and a driver. In 2005, I became sick. I could no longer work so I was given a voluntary retrenchment package of R6 222.91. That money finished long ago. I was recently treated for TB and hypertension at Zithulele. I survive only on a disability grant. I have seven children. How can I feed them now? We want the mining companies to pay us what they owe us. There is a lot of money they owe us which they didn’t pay. They told our people to go down the mine and eat dust. The dust still sits in our lungs. Now, our people eat nothing but they are the ones who have dug the gold out of the ground. We gave them our strength and now we want them to support us. I worked on the mines from 1985 to 1997. I used to burn with a fever when I was sleeping, then I started to get thin. I was told that because I had taken so much leave, I was a deserter. They let me go without a cent. Now I live only on a disability grant. I went to the mines in 1959. I started as a machine driller. In 1974 I became ill and stayed in the hospital for over two months. I went back to work but I became more and more ill as time went on so I came home. I was lucky to find temporary work here at the hospital as a builder and a plasterer but now I can barely survive. My wife is ill so my daughter-in-law looks after me. I was injured when I fell from a step ladder and shattered my ankle. After this I spent a year in hospital. I received compensation for that injury but nothing for my hearing loss from the drilling. My eyesight is very bad from the hours spent underground. They said I was a deserter and gave me no money. I was just 20 when I went underground in 1960. I was a labourer for many years. Then I became a driller but I was injured when a rock hit me in the eye so I had to come home. I have difficulty breathing and my hearing is very bad. I have 14 children and my wife suffers from heart disease. Some of my children are still at school and others at college and one is at university in Cape Town. It is hard for them because there is no money except for the government pension.